10 Beautiful White Kitchens | Are you planning a kitchen remodel and dreaming of white cabinets? These 10 beautiful white kitchens from bloggers and Instagrammers will provide you with plenty of ideas and inspiration! Are you searching for inspiration for your own white kitchen? Luckily, there are a lot more ideas to be found now than there was several years ago. When I first created this kitchen inspiration post, I was a new blogger designing my kitchen and this post was jam-packed with magazine inspiration. While I still love to read magazines, since that original post, I have found so much inspiration from other bloggers and on Instagram! Today, I thought I would share some of my favorite beautiful white kitchens with you. Honestly, it was difficult to narrow it down to just ten! These blogs and Instagrams happen to be some of my favorites to peruse as well, so they are more than worth spending some time looking through. Overall, I hope that these photos inspire you and help you in your search. No.1 | DIY White Painted Kitchen from Nina Hendrick Design Co. While I still consider it a work in progress, we have come such a long way in this space since we first painted our cabinets back in 2013. I have a clear vision of the final few touches it will take to bring the room to 100% completion (like tackling the textured ceiling, and dealing with a tricky and awkward wall on the other side of the room). 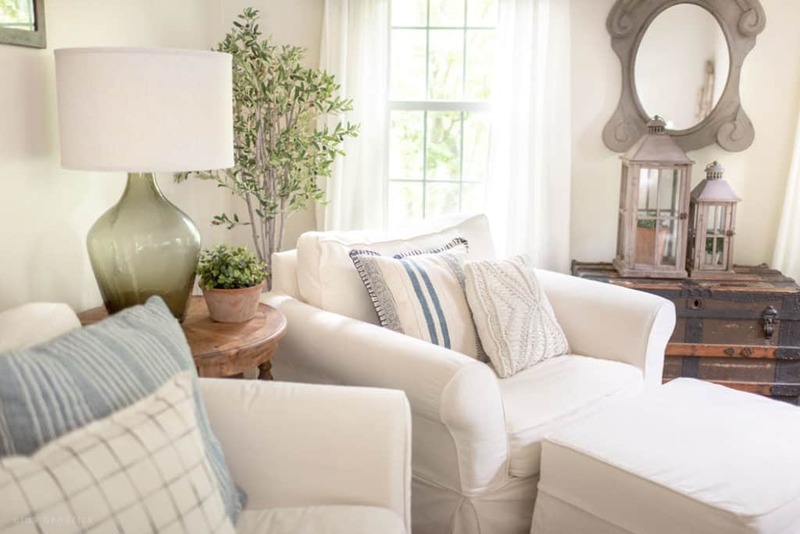 For now, I enjoy adding farmhouse textures to the room, and (especially when it’s looking this clean and pretty) it is a happy space for me to spend time in! MORE FROM NINA HENDRICK DESIGN CO. Anything Liz from Love Grows Wild touches turns to gold. 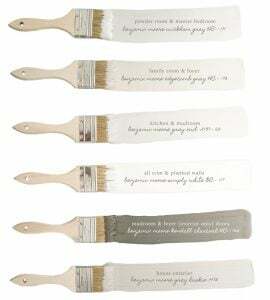 I love to follow along as she renovates her farmhouse. Stop by and visit her white farmhouse kitchen, which she designed so beautifully. She also has a book jam-packed with DIY projects, it’s definitely worth a read! Rachel from Maison de Pax has lovely and clean classic-meets-French style. She has such great taste, and I have loved following along as she updates her new home! She renovated this Classic White Kitchen in her previous home. She made such good choices, it’s sure to stand the test of time! I consider this farmhouse kitchen from Miss Mustard Seed to be “one of the classics”. 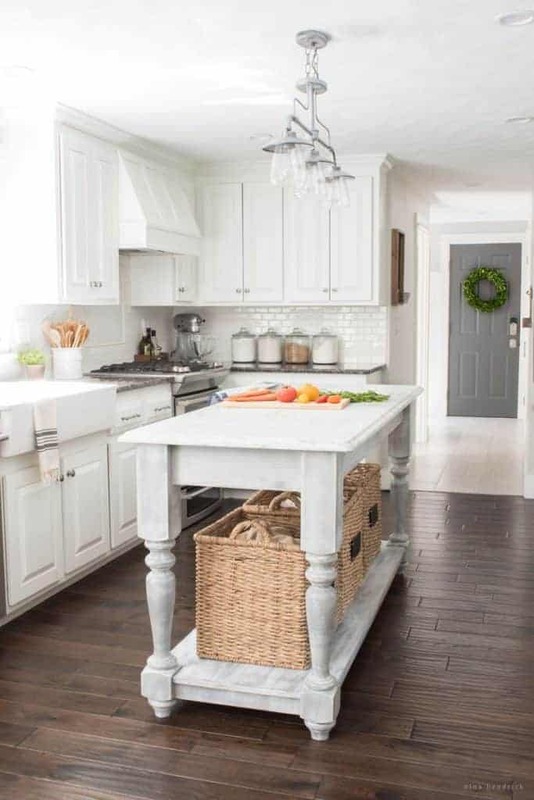 From the beautiful butcher block counters to the country white beadboard cabinet doors, this kitchen is simply gorgeous. Not to mention the accessories! My friend Jamie from So Much Better With Age has great taste. She seamlessly blends romantic French style with vintage, traditional, and even industrial elements. Her kitchen in her former home was inspiring, and the kitchen in her new home is beautiful too! She has a book on French Vintage Style coming out this summer, so be sure to stay tuned. Anissa from House Seven Design’s work is pure stunning eye-candy. I can pass away an hour happily scrolling her Instagram! Her kitchen is beautifully classic with plenty of warm rustic details. Annie from Zevy Joy has a beautiful eye for design (her sunny living room is amazingly gorgeous! ), and I love her white kitchen with a mixture of rustic, industrial, modern, and traditional touches. The rustic island is perfection! Can you believe that Rachel from Shades of Blue Interiors DIYed her kitchen remodel? It is so professional. She built that pretty and functional island herself from scratch. She is so talented! Such a lovely and inspiring kitchen. I am not exaggerating when I say that Anisa Darnell’s kitchen stopped me in my tracks on her (stunning) Instagram! Although I love my kitchen, her kitchen is my dream room! You can see more of her work at Truth and Co.
MORE FROM TRUTH & CO.
Kelly’s home at The Lilypad Cottage is one of my all-time favorites. She is my go-to for lake house inspiration! Her kitchen in her new home is absolutely beautiful! I love the blue island, it gives it the perfect touch of lakeside whimsy! Hi, Karen! Welcome! So glad you found this inspiring.